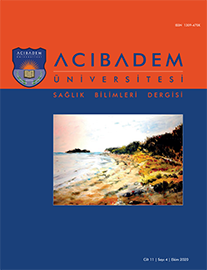 2Korkut Ata University, Physical Education and Sports Department, Osmaniye, Turkey Aim: The aim was to explore the relationship between body mass index and weight perception, eating problems and physical activity in university students. Material and Methods: This cross-sectional descriptive study was carried out amongst undergraduate students (n= 491) from a state university. The Eating Attitudes Test, International Physical Activity Questionnaire and a demographic information form were utilized for data collection. The descriptive statistics, independent sample t-test, one-way ANOVA test and chi-square test were adjusted for data analysis. Results: 21% of the students were overweight. Weight perception, weight control behaviours, life satisfaction and eating attitudes differed among underweight, normal-weight, and overweight students (p < 0.05).